Microsoft surprisingly didn't have anything to announce for its premiere fighting game, Killer Instinct, during its press conference at E3. It left me wondering what had happened to the inevitable release of Season 2 characters because we all know they are coming later this year. Turns out, Microsoft pulled a fast one on all of us and revealed the first character of the new roster during a pre-show event. Thanks alot, Microsoft. The first fighter of the second wave of characters is T.J. Combo. a five-time heavyweight boxing champion stripped of his titles after it was discovered he mechanically enhanced his arms. The original character from the 1994 arcade original is in no way a rip-off of Street Fighter's boxer, Balrog. No way, no sir. Original developer Double Helix is not returning to the second season of Killer Instinct after being bought out by Amazon. Instead, Iron Galaxy Studios, the developer of cult-favorite Dive Kick and Street Fighter 3: 3rd Strike Online Edition, has taken over, making T.J. Combo the studio's first addition to the hit fighting game. 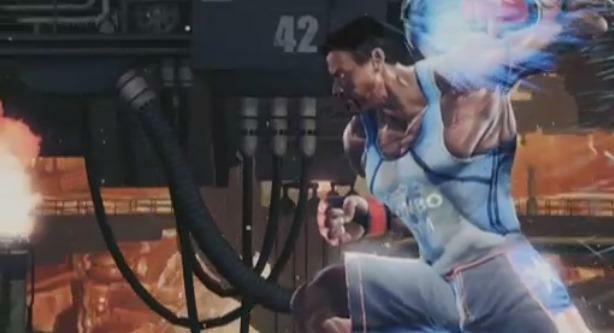 Keep an eye out for Season 2 of Killer Instinct this fall. There is still no word on when Iron Galaxy will get around to announcing my favorite classic character, Cinder. Hurry up, guys! Figures my favorite would be last.